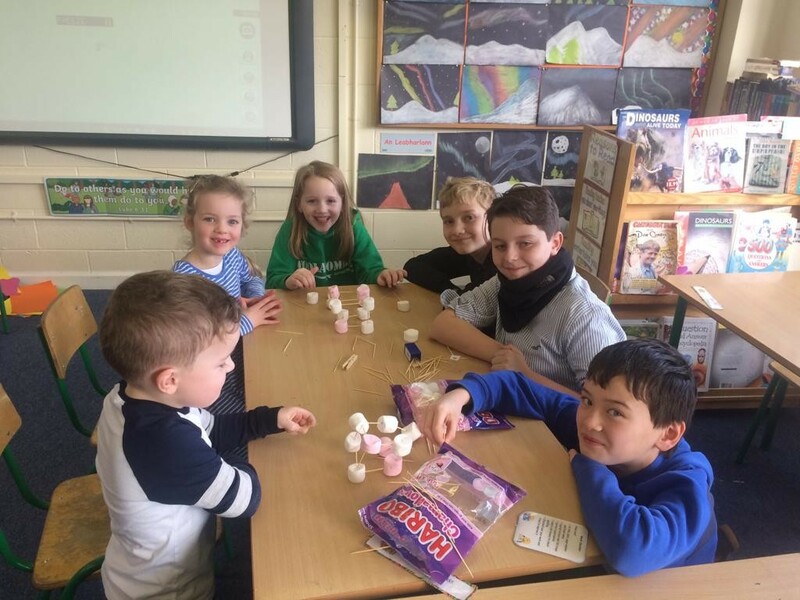 Junior Infants and Sixth Class buddied up for some exciting station activities. 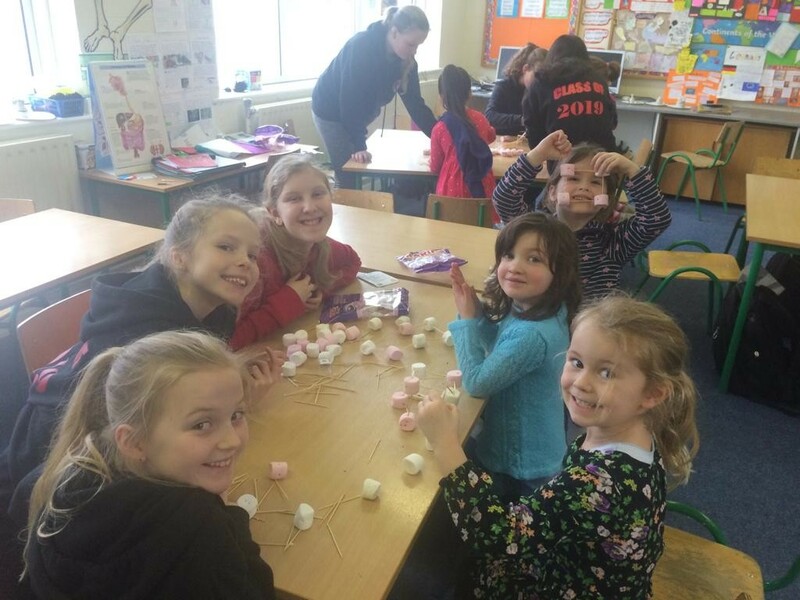 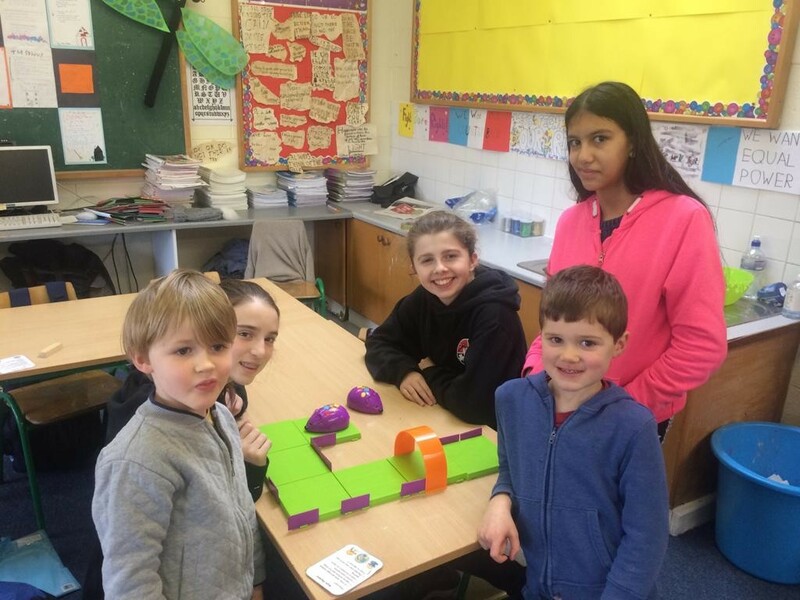 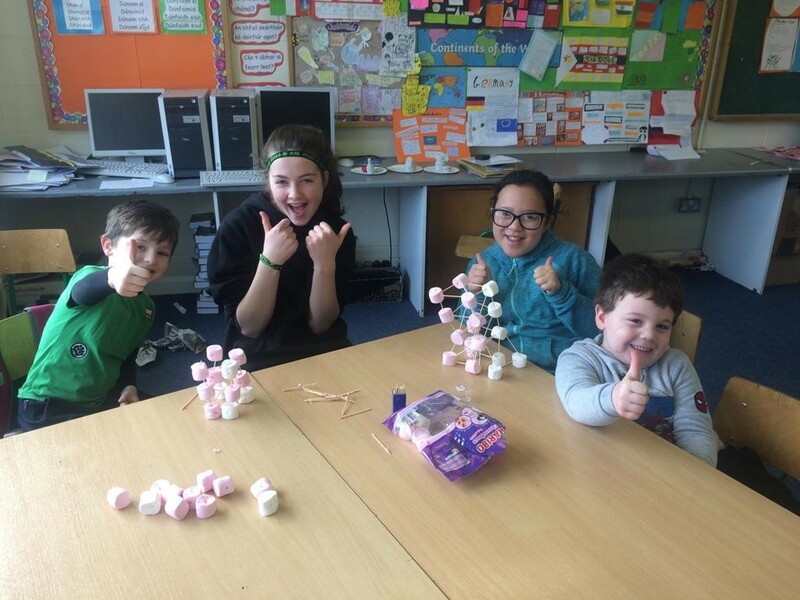 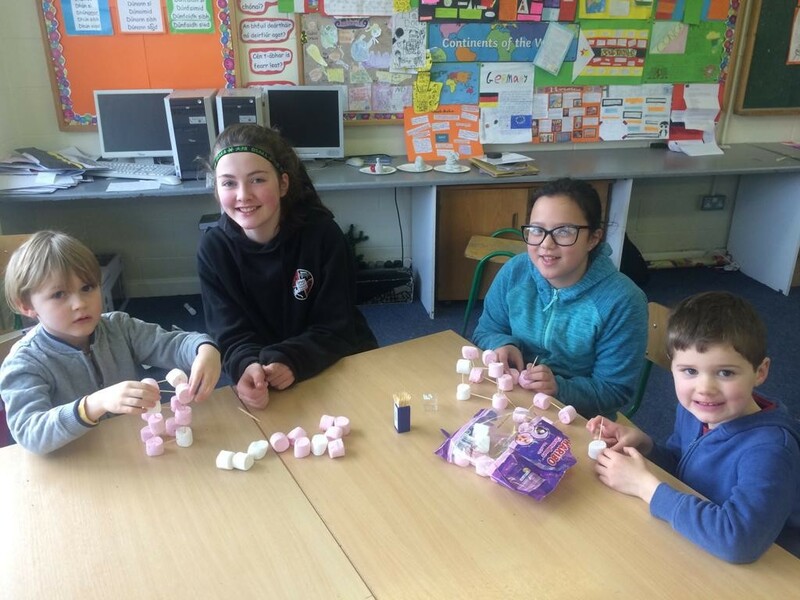 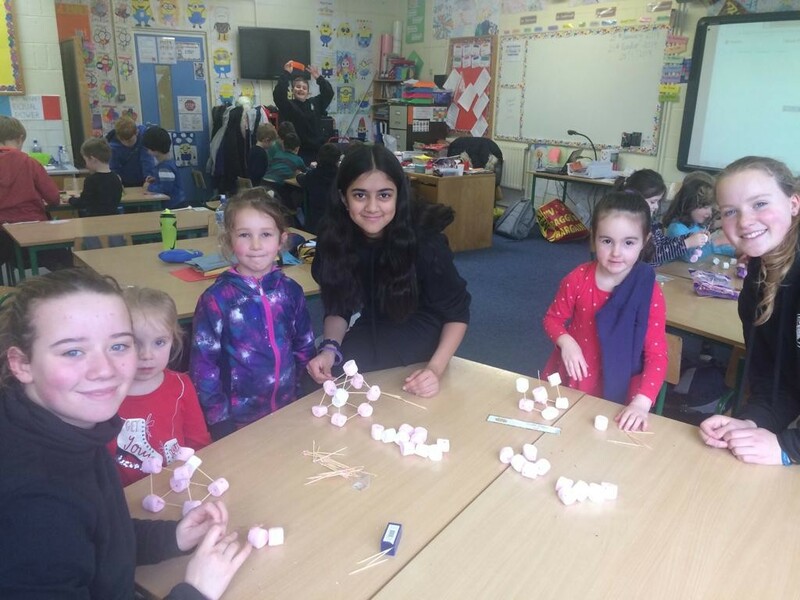 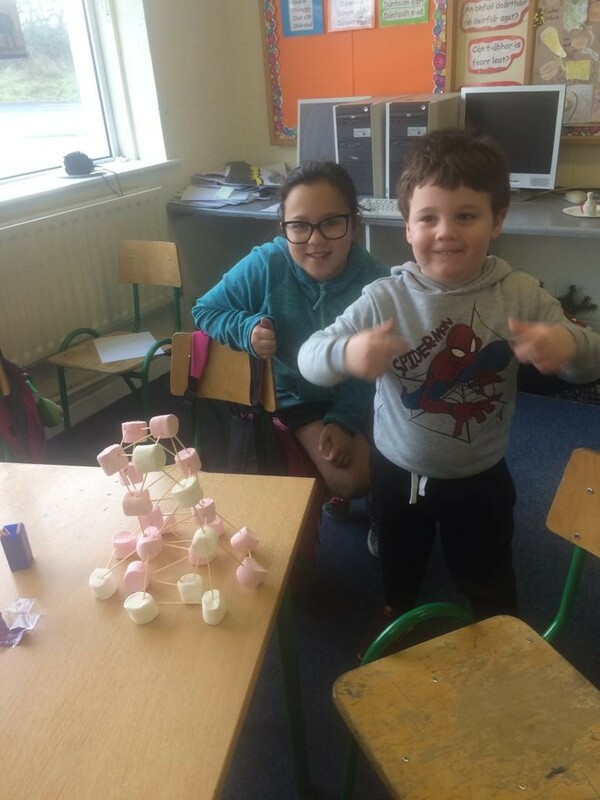 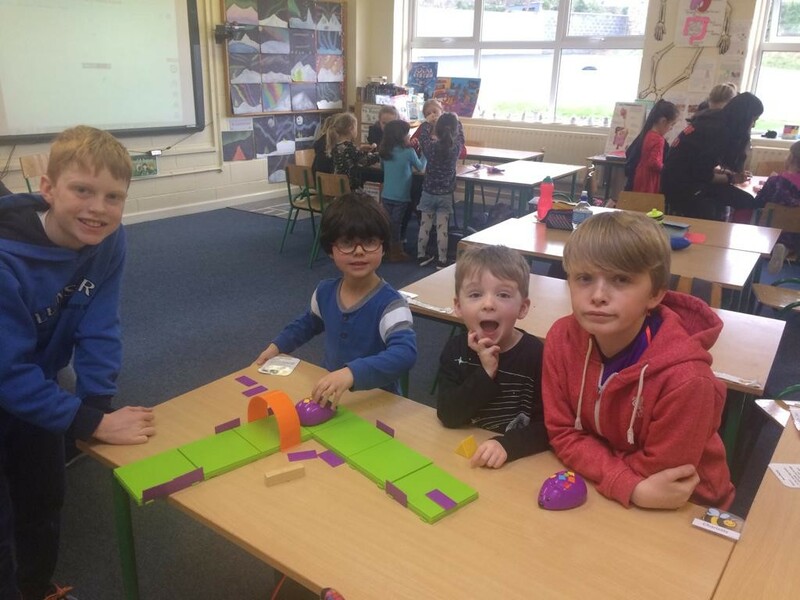 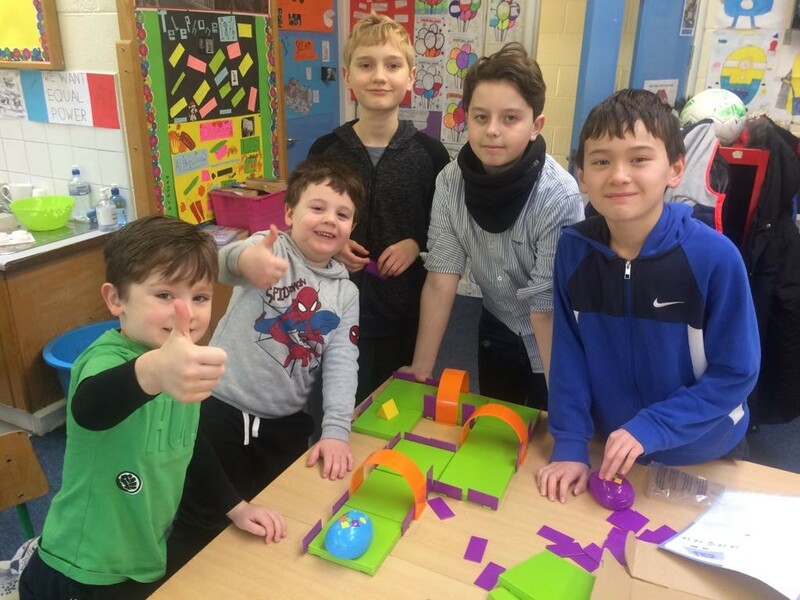 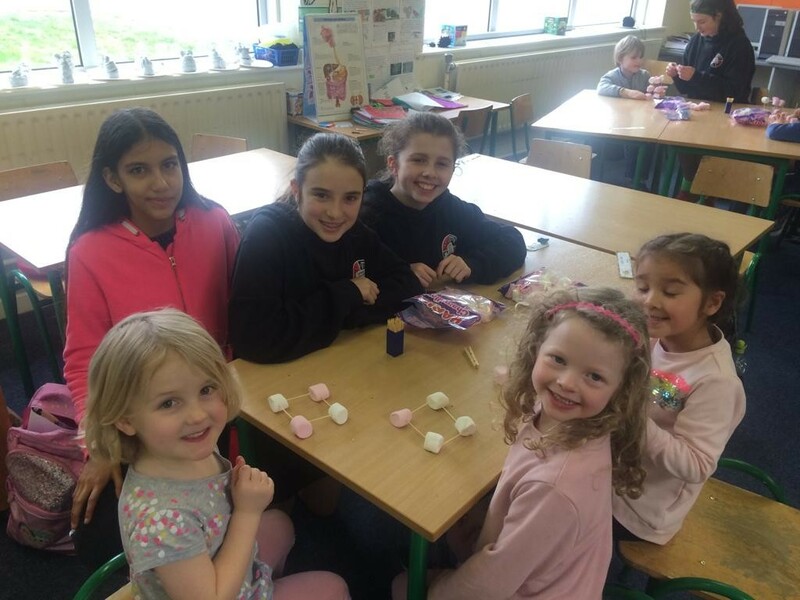 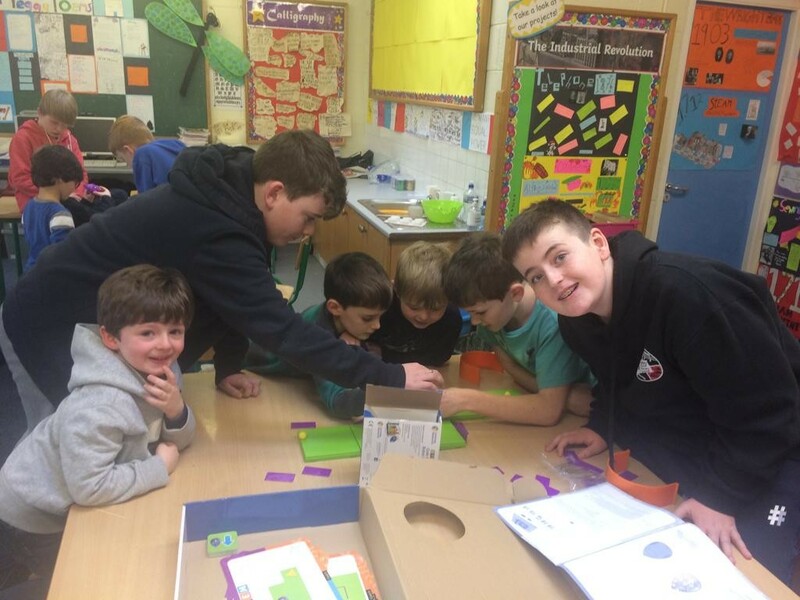 In the Sixth Class room they designed some most impressive buildings using marshmallows and sticks, then programmed robot mice to run through a tricky maze to get the delicious cheese! 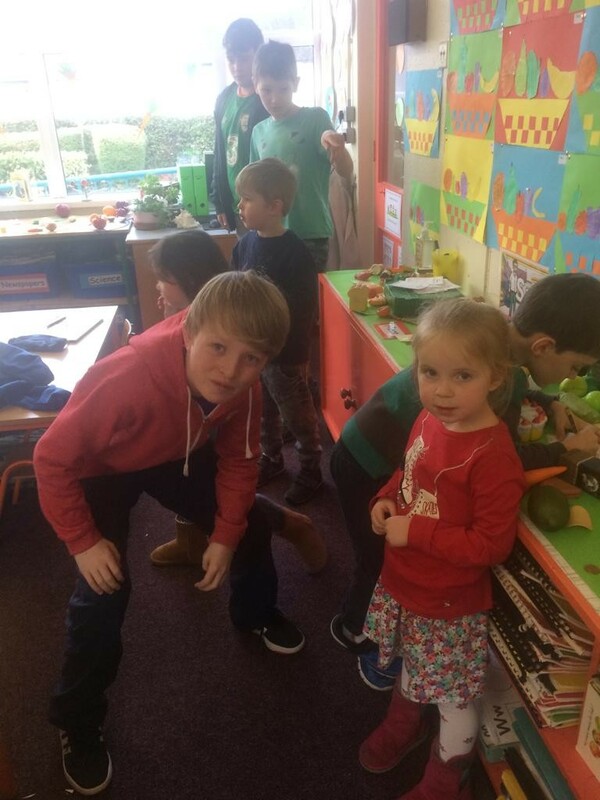 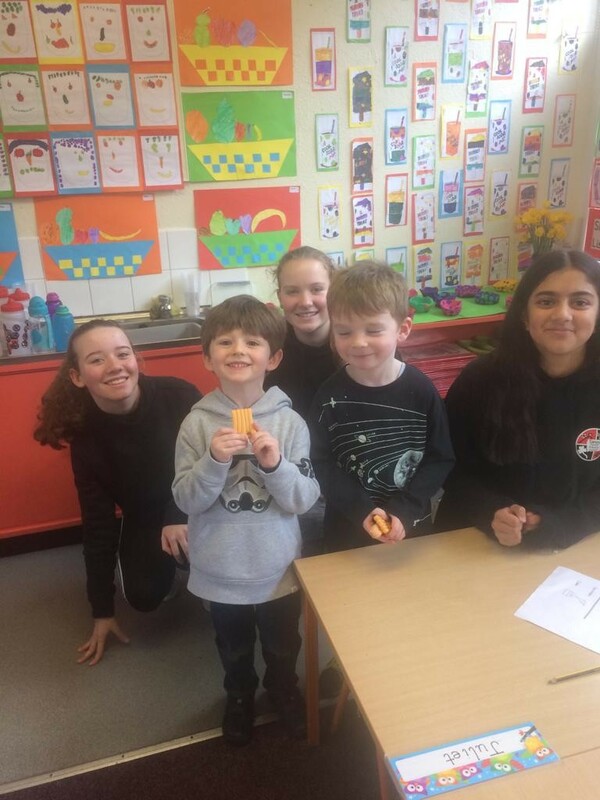 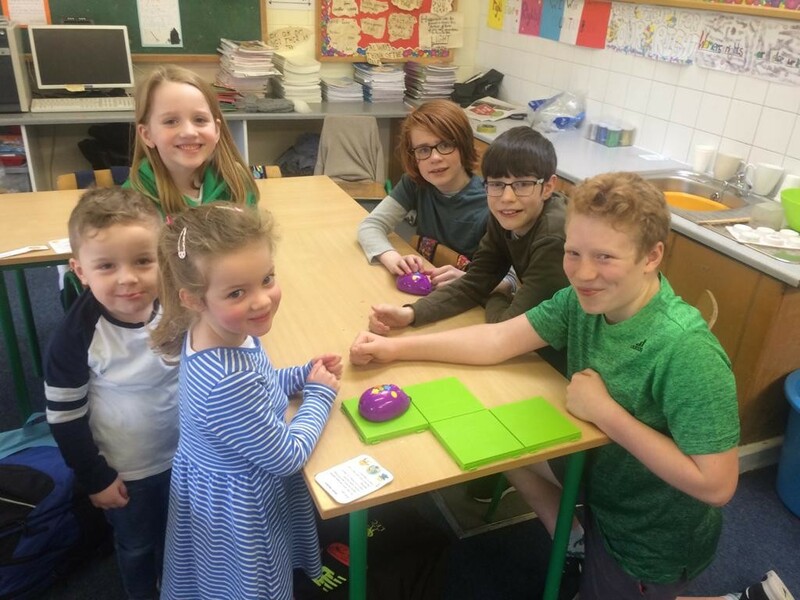 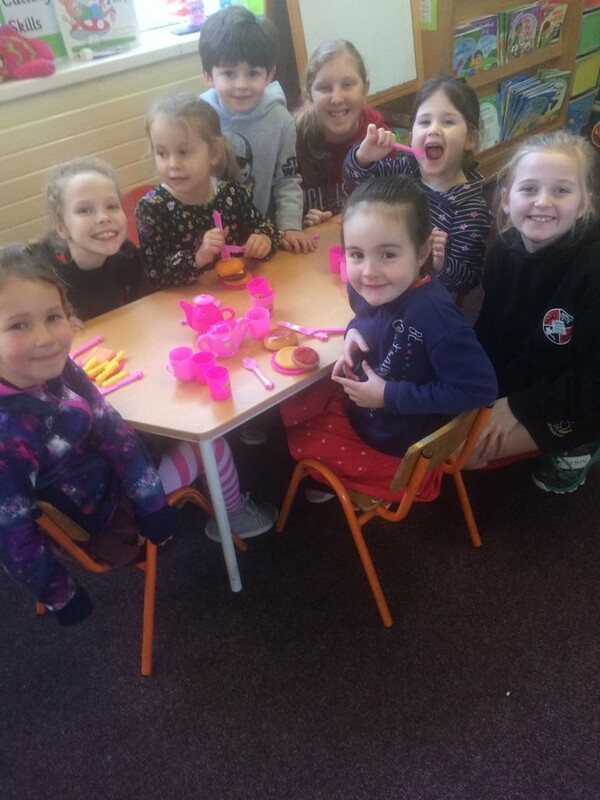 In the Junior Infant room the children used both English and Gaeilge to converse which visiting the shop and the restaurant.